Have you wondered how to get whiter teeth? It seems like teeth whitening is available everywhere and in many forms, even your toothpaste. We offer the best professional teeth whitening treatments available in St. Paul designed to satisfy every budget and time frame. It is proven that whitening teeth works. 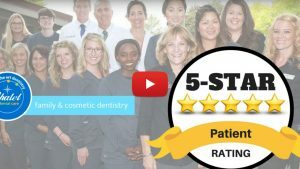 Almost everyone who chooses this cosmetic treatment will see moderate to substantial improvement in the brightness and whiteness of their smile. Many factors, including dietary habits (drinking coffee, tea, soda, and red wine) and certain medications, affect the whiteness of your smile. Teeth whitening is an affordable and effective way to combat common causes of tooth discoloration, while boosting your self-confidence and improving your appearance. Chalet Dental Care offers a range of professional products to brighten your smile. With take home whitening trays, in-office whitening, and restorative options, we can accommodate all lifestyles and budgets. Call today for a complimentary consultation to see which option is best for you! For a brighter, whiter smile without the wait, opt for Kor Whitening. Add & Change to: This is an in-office procedure that is done chairside with one of our trained treatment assistants. Significant color change in a short period of time is the major benefit of in-office whitening. We follow this up with our take-home whitening trays & gel for additional treatment if needed or for future touch-up maintenance. Opalescence Take Home Whitening Trays & Gels allow you to whiten your teeth at your convenience—in a safe, effective, and customized way. Effective – Opalescence Take Home Whitening Gels are professional strength and results are seen after just one night and up to one week after. 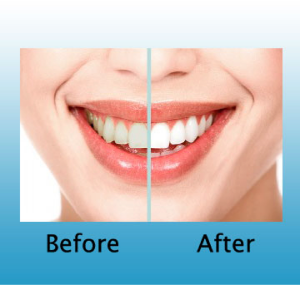 Customized – Opalescence Take Home Whitening Gels are delivered via customized bleaching tray. We will create this tray from an alginate impression of your mouth; this customization is partly why they are so effective. Because each person is different as to how many touch-up treatments they will need, we will work with you to customize the amount and frequency of at-home whitening. Some may need to implement treatment immediately while others may have it performed as infrequently as once a year.